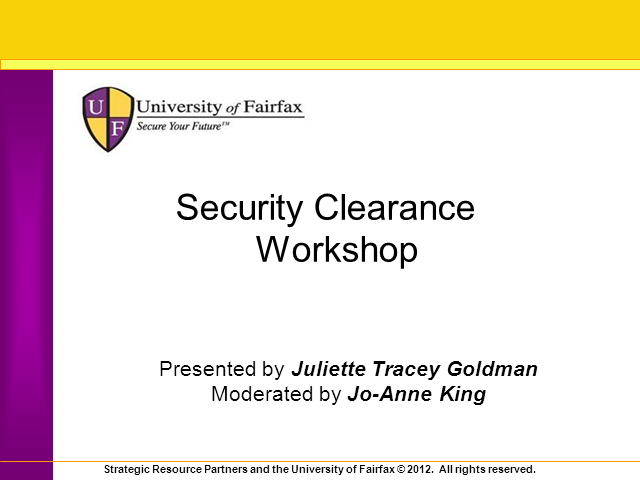 Achieve clearance success with the University of Fairfax Security Clearance Webinar! The U.S. faces a growing shortage of cybersecurity professionals holding security clearances to fight the war on cyber- crime. Maintaining or obtaining a security clearance can accelerate your cybersecurity career in both the public and private sectors. This webinar will help you maximize your chances of success in navigating the security clearance process. The information presented will prepare you to avoid common mistakes and covers what you need to know to expedite your clearance process.